Once again, JetBlue comes through in the clutch. 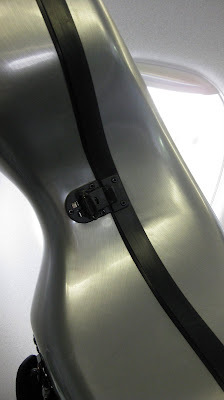 Not only were they friendly and helpful, but they thought it would be safer to just take the flight case off and seat my cello next to me in the cabin. The TSA people were also amazing and made me feel like I was a regular passenger as opposed to some terrorist suspect with a clearly deadly weapon…a cello. I am thrilled with my decision to fly JetBlue. Many thanks to Tom Berg at Long Beach Airport. 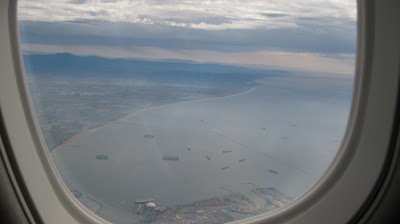 Those are oil tankers and cargo ships coming into the port. This was taken about 1 minute into the flight. 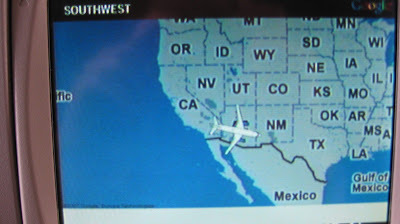 I compulsively follow the map thing. That was hard to do, considering the 4 channels of ESPN (including reports from the NFL Combine!!) they offered me onboard. I was a little scared of it, so I went to the local TexanMart for some Lone Star beer to calm my nerves. No students today=beer with lunch. Excellent. 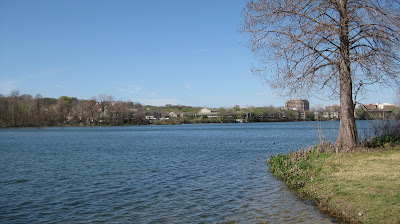 I was struck by the beauty of Lady Bird lake, which is pretty close to my hotel. If my knee was in better shape, I would be well tempted to walk around it. Next time, I hope. Next time I post should be from Dallas/Arlington, where I am scheduled to do a master class with one of Dr. Morrow’s students, a teen who is playing Allegro Appassionato, and Stephen McKimmey, a reader who is vigilantly doing battle with the Prelude to Bach’s 3rd Suite. Fun! I’ve been battling the Prelude to Bach’s 3rd Suite on and off. I wish I was there to see that. Looking forward to Sunday.. Looks like big group coming. I didn’t know we collectively knew so many cellists. We’re taking over the world! 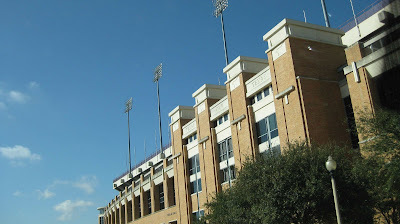 Your reference to the huge stadium and Texas equating to all things big reminded me of the following fun fact: Did you know that everyone in the world could conceivably live in the Lone Star state? It’s true! Wow! I had no idea. If I end up partitioning the world population into Texas, I will be sure to put you in Austin. South Congress, I assume? This is what I get for not keeping up: finding out you were here weeks after you were gone. Dammit. And I’m even working on some of those pieces again, too. Sigh…That will teach me.